It’s one of the great questions of the Internet generation: how do you know what’s good on Netflix Instant? The site streams popular movies and television shows, but has many more that are unfamiliar. Here we’ll sort through them, letting you know about the good ones (with a focus, for the most part, on international films). We started things off with The Names of Love, so now we go from French romantic comedy to Chinese historical adventure. 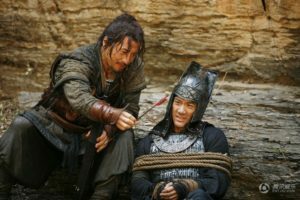 Jackie Chan is not someone whose career we’d associate with grand historical pieces; Shanghai Noon, for example, doesn’t exactly immerse viewers in the dusty world of the Wild West. In the past few years, however, he’s been making more contemplative movies in his native China. That doesn’t mean they’re devoid of humor. Now that Chan’s approaching his 60s he’s content to sit back and let younger men shoulder the burden of the action, tending to play characters that know little-to-no martial arts. The few fight scenes in which he engages are usually either dream sequences or choreographed (in his classic smooth but goofy method) in ways that seem almost accidental for the character. 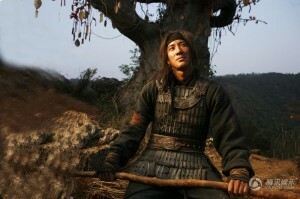 Netflix Instant has two recent Chan films in this style, 2010’s Little Big Soldier and 2011’s Shaolin. Of the two Little Big Soldier is more entertaining, mostly because it’s funnier. Chan plays The Soldier, a simple “small potato” farmer who gets caught up in a big war. The movie takes place during China’s Warring States period, when several kingdoms constantly struggled for greater control of China. Ordinary people’s lives were often destroyed in a mess they did nothing to start and cared nothing about. The Soldier’s been conscripted into military service, but he has no desire to die for a cause that isn’t his own. His father always taught him that it’s shameful to die for something you don’t believe in and The Soldier has taken that to heart. When we first meet him, he sits up in a field of corpses; a lone survivor of a massive battle between two of the warring factions. The Soldier smirks and plucks at an arrow protruding from his chest; it snaps back at him. This is one of The Soldier’s myriad tricks: he has a number of prop arrows and daggers he uses to play dead. He encounters a younger enemy general, wounded but still breathing. He takes The General hostage; his nation, Liang, offers the reward of five acres of land to any soldier who can bring in a captured Wei officer. Most of the humor in the film is derived from their relationship. The Soldier’s delighted to lecture his prisoner about life and their opposing philosophies. His literally captive audience has to listen to him as a youth usually would to an elder, were it not for their vast differences in rank.